Aromatherapy is a type of holistic healing practice that uses essential oils to promote health. This practice has been around for thousands of years and offers benefits to the mind, body, and spirit. 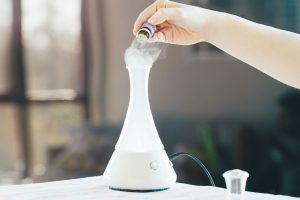 There are many different methods of using essential oils, from using an oil diffuser to taking a bath with essential oil salts. 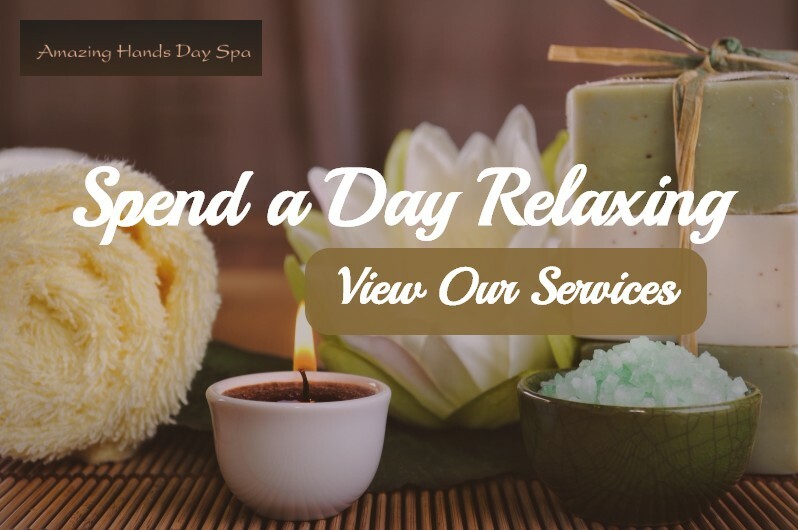 At Amazing Hands Day Spa in Bartlett, we offer aroma oil massages, allowing you to get the benefits of massage and aromatherapy. We have discussed the benefits of massage before, but we haven’t taken the time to talk about aromatherapy. 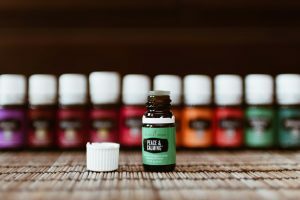 In this blog, we are going to talk about the benefits that essential oils can offer you, no matter the method you choose to use them. Learn more about the benefits of essential oils and schedule your aroma oil massage today! One of the most well-known and common benefits that aromatherapy is used for is stress relief. There are many different essential oils that offer relaxant properties, allowing you to de-stress and reduce anxiety. Many people practice aromatherapy at home for this benefit. It is easy to find information on this benefit since it is widely studied. There are a large variety of essential oils that offer stress relief. These include lavender, lemongrass, lemon, peppermint, vetiver, bergamot, and ylang-ylang. When one or a mix of these oils is used in an aroma oil massage, you can enjoy even more stress relieving effects. Essential oils can also be used to decrease feelings of depression. This is a huge benefit, especially for those who have tried antidepressant medication and experienced side effects. While aromatherapy has been shown to offer antidepressant properties, you should still seek help from a counselor or therapist if you don’t notice any changes in your mood. When using essential oils to fight feelings of depression, lavender, chamomile, peppermint, and jasmine are some of your best options. For people who have trouble sleeping, aromatherapy could be just what you need. Since essential oils offer relaxation and reduced stress, they can also help you feel more tired when it is time to hit the hay. If you have insomnia or trouble sleeping for any other reason and have tried just about everything, essential oils could be a game changer. Aromatherapy could help you get your sleep schedule back on track. When using essential oils for sleep, choose lavender, chamomile rose, ylang-ylang, and vetiver. Essential oils also have the ability to raise energy levels and help you get through the day with a pep in your step. Certain essential oils have been shown to increase blood circulation, boosting energy levels, and stimulating the mind and body. If you are having trouble making it through the workday and no amount of coffee can help, try essential oils. Add a diffuser to your desk and use clove, angelica, jasmine, tea tree, sage, rosemary, or cardamom oil to give yourself the energy you need to make it through the rest of the day. Ginger, turmeric, lemon, grapefruit, chamomile, and some other essential oils that can be used to help acid reflux, ulcers, indigestion, nausea, and morning sickness. Aromatherapy can help with constipation and bloating as well, while speeding up your metabolism to digest food quicker. Turmeric and ginger have been found to provide anti-ulcer properties. If you have stomach problems, a citrus essential oil or one of the oils listed above could help solve your problem. Aromatherapy can be used to reduce pain and inflammation. Whether you have tense muscles, a headache, or aching joints, essential oils could help you experience relief. When you use a combination of different essential oils, you can inhale them or add them to a painful area and enjoy the soothing effects they can offer. Ginger, myrrh, orange, and turmeric are often used to reduce arthritis pain. Peppermint, rosemary, spearmint, and frankincense can help reduce any other type of pain. Essential oils and aromatherapy can also be used to strengthen your immune system. Many essential oils have antifungal, antimicrobial, and antibacterial properties, which can boost your immune system and protect you from illness and infection. This is one area of aromatherapy that is often studied. If you want to improve your immune system and protect yourself against illness, try using essential oils! Some of the best oils to use to boost your immune system include oregano, frankincense, peppermint, cinnamon, lemon, and eucalyptus. Essential oils can speed up the healing process throughout the body. Essential oils can increase blood and oxygen flow to wounds, allowing them to heal faster. They also offer internal healing, which can help after an illness or surgery. Due to the antimicrobial properties, some essential oils can protect the body during the fragile healing stage. Lavender, rosehip, everlasting, buckthorn, and calendula are all essential oils that can aid in the healing process. There are many different benefits to aromatherapy and essential oils. These are only a few of the main and most popular benefits that you can experience through aromatherapy. Whether you are getting a massage or taking a bath in essential oil bath salts, you can enjoy these benefits. Some simple research can help you learn more about which essential oils offer which benefits. For the best results, consult with a trained aromatherapist. They will be able to help you determine which essential oils to mix and which to avoid for the benefit you are looking for. If you are interested in an aroma oil massage, contact Amazing Hands Day Spa in Bartlett. You can choose the essential oil you want to use and enjoy the benefits of both the essential oils and massage. We look forward to helping you get the most out of your next massage with the help of essential oils.